If none of the above work after attempting a few times, please check your browser cache and cookies settings within your browser's preferences / settings area. If you need any further assistance, please contact our Support team directly. Tap "Settings" in the menu that appears. On smaller phones, you may have to scroll the menu down to see it. Tap "Privacy" in the Advanced section. This will open a new menu. Scroll down and tap "Clear Browsing Data." This button is at the bottom of the Privacy menu. Ensure that "Cache" and "Cookies, site data" are checked and then tap "Clear." This will delete all of the cache for Google Chrome. Tap "Settings" in the Firefox menu. Tap "Privacy." This will open the Privacy menu. Scroll down and tap "Clear now." You'll find this in the "Clear private data" section. Ensure that "Cache" is checked and then tap "Clear Data." 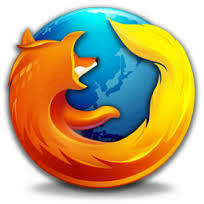 This will delete the cache (and anything else you had checked) for Mozilla Firefox. Open the Internet browser and tap the Menu button. If your device has a physical Menu button, you can press it instead. Tap "Settings" in the menu. You'll find this at the bottom of the menu. Tap "Privacy & security." This will open the privacy options for the browser. Tap "Clear cache" at the top of the menu. You'll be asked to confirm that you want to delete the cache. Open the Samsung browser ("Internet") and tap the Menu button (⋮). If your Samsung device has a physical Menu button, you can press that as well.